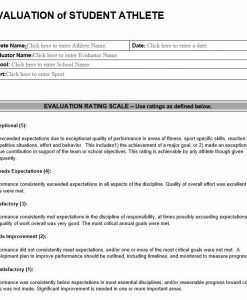 This value pack of evaluation forms consists of tools used in the assessment of athletic programs. Included are four forms used to examine performance related to athletics. They are offered at bulk discount rate. The purpose of the referee evaluation form is to assist the official with improvement. It is beneficial in that it provides an external view from which they can assess their own skills in light of the evaluator’s comments. 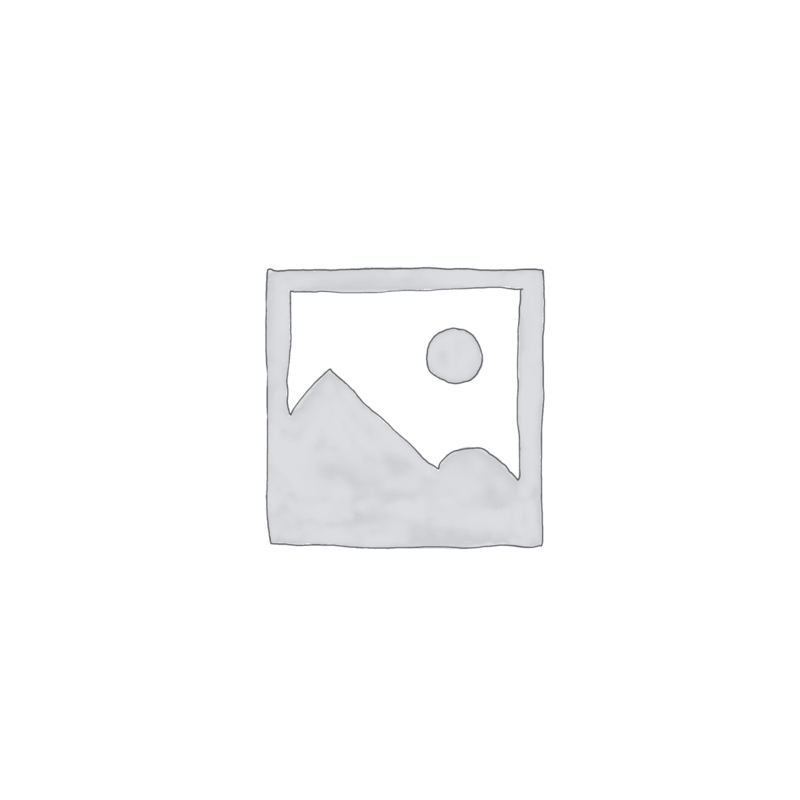 In order to be effective, it must be constructive and contain detailed written comments. A score alone provides no meaning unless it is backed up with appropriate written comments. 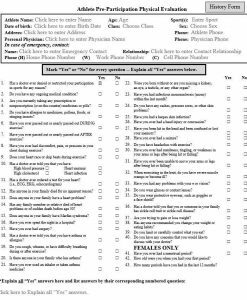 Evaluation of Student Athlete Form allows coaches and administrators to assess the performance of athletes both in and out of competition. It explores areas of conduct, relationships and leadership. 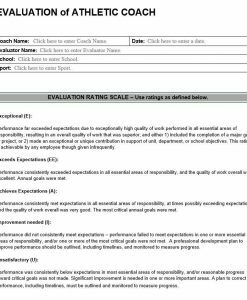 The Evaluation of Athletic Coach Form assesses areas that coaches should excel including meeting objectives, developing communication skills, principles of reinforcement and understanding motivation. Coaches are responsible for conducting themselves and their services according to professional and ethical standards, promoting the interests and protecting the rights of their performers, the sport and the coaching profession. Athlete Pre-Participation Evaluation Form helps to make informed decisions about the student’s health and ability to participate in certain school sponsored and classroom activities, which require physical activity.